Are you a person who is waiting for any government jobs? Here is good news for you! 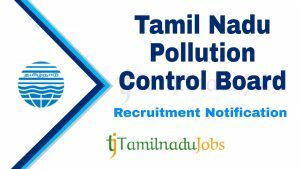 Tamil Nadu Pollution Control Boards have released the notification for the recruitment of candidates of various positions and the vacancies are for 224 posts. You may visit the official website and look for more information to apply for the job. The applications are accepted only through the online mode and the last date to submit the application is on 23rd April 2019. When you have not paid the application will not be considered valid. The selection will be based on the written exam, personal interview and final step would be documented verification. After you apply you may have a look at the official website to have more updates like exam date, exam center, results, etc. Online: The payment is encouraged only in the online mode and the candidate can pay through Net banking, Credit card, Debit card. Step 4: Make the payment and complete the final process. You may also save them for future use.